Jefferson Davis Monument, New Orleans. In the wake of the human tragedy Charleston, South Carolina, where nine members of Emanuel AME Church were murdered by a white supremacist neo-Confederate, there has been a push in southern states to remove the symbols of the region’s Confederate past. Until now, only battle flags have been targeted. 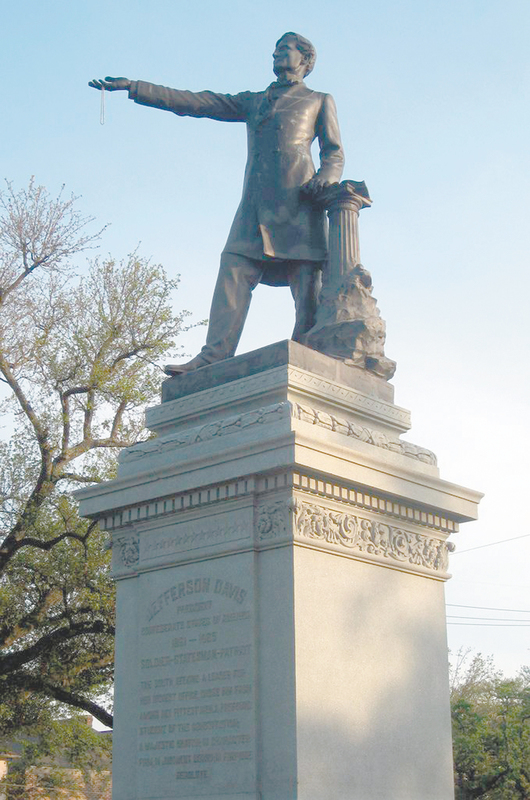 This angers Confederate sympathizers like the Sons of Confederate Veterans and members of the United Daughters of the Confederacy who believe that such memorials honor their ancestors’ sacrifices. It also makes some historians a little uneasy, as they worry about erasing history, arguing that even when that past is ugly it should remain as a reminder to never repeat that past. Yet much of what the ordinance says is true. 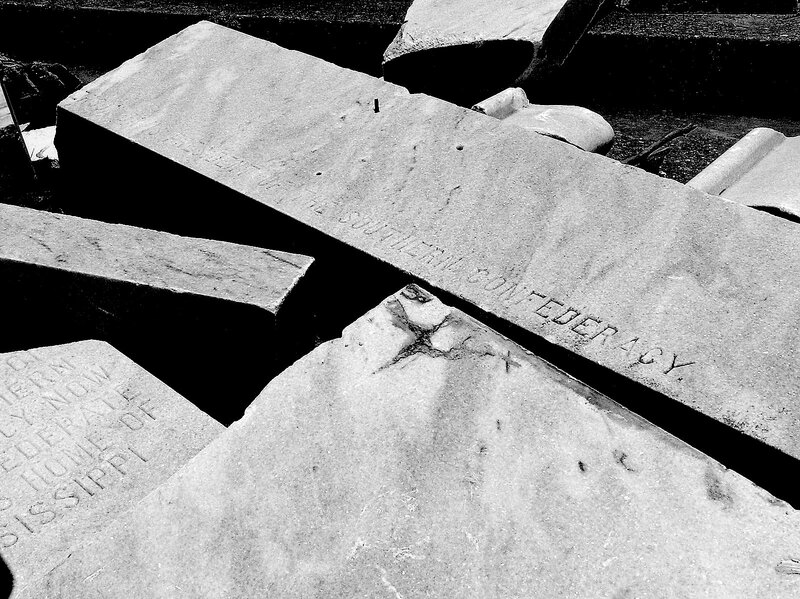 Confederate monuments were erected in a moment of white supremacist backlash to black progress and were not simply memorials to honor ancestors. They were that, but they were also powerful symbols of white rule serving notice to black citizens that they were, at best, second-class citizens. Unveiling ceremonies, Jefferson Davis Monument in New Orleans, 1907. But make no mistake, the loyalty expressed by white southerners during this and similar ceremonies across the South were first and foremost to the former Confederacy. Monuments and memorials are generally a reflection of the values of the generation that originally placed them there. In 1907, the Davis monument reflected the values of a generation of whites dedicated to the idea of Anglo-Saxon supremacy. Indeed, during speeches given at unveiling ceremonies across the South, they said as much. So how should we consider removing such monuments and memorials? If landscapes are constantly evolving, can the removal of the Confederate monuments in New Orleans or elsewhere be understood as part of that evolution and a reflection of values of the current generation? Others will see this as a historic preservation issue. 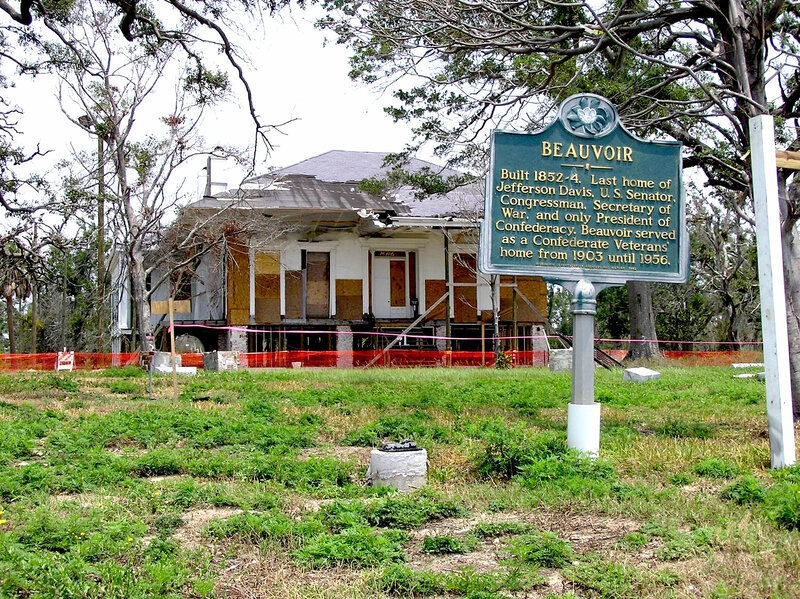 As most of us know, preservation is a difficult sell under the best of circumstances. Some buildings get preserved, while others are razed in order to build something new in its place. In this, I am reminded of a statement made by a curator at the National Museum of American History many years ago during one of my visits. She discussed how the museum had previously exhibited women’s work in the 18th and 19th centuries by showcasing several spinning wheels of various sizes. She asked, rhetorically, “how many spinning wheels are needed to demonstrate that this was the kind of work most women did?” Not an entire room full. The same might be asked about the hundreds of Confederate monuments and memorials that are found across the southern landscape. How many are needed to demonstrate that a generation of southern whites built monuments to the Confederate past? The news of the past week has run the gamut from deep despair to joyous celebration, as millions of Americans grappled with the murder of black parishioners at Emanuel AME in Charleston, South Carolina, while millions of others celebrated the Supreme Court’s decision upholding marriage equality. 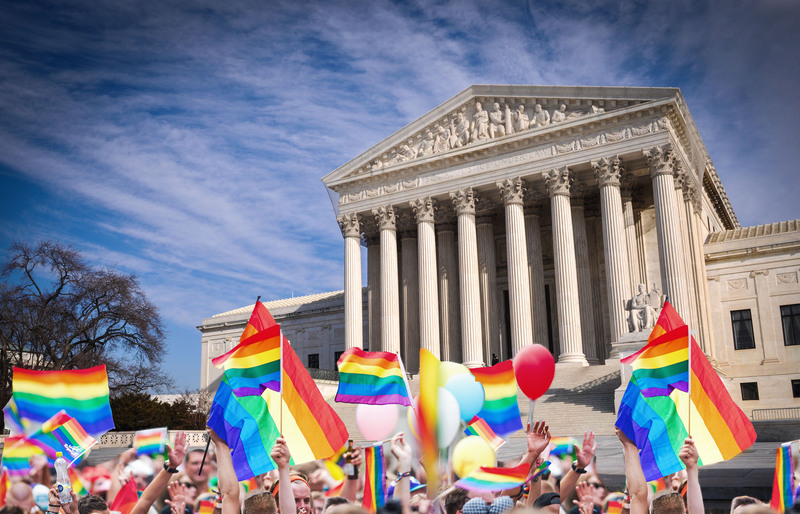 Throughout this news cycle there has been an explosive debate over the Confederate flag and the need to take it down from government-sanctioned spaces, while, simultaneously, LGBT citizens and their allies have raised the flag of pride to commemorate a Supreme Court victory that makes this year’s pride season even more special. This past week, there have been some amazing images of both flags, together and separately, that remind us that symbols do matter in issues of civil rights. 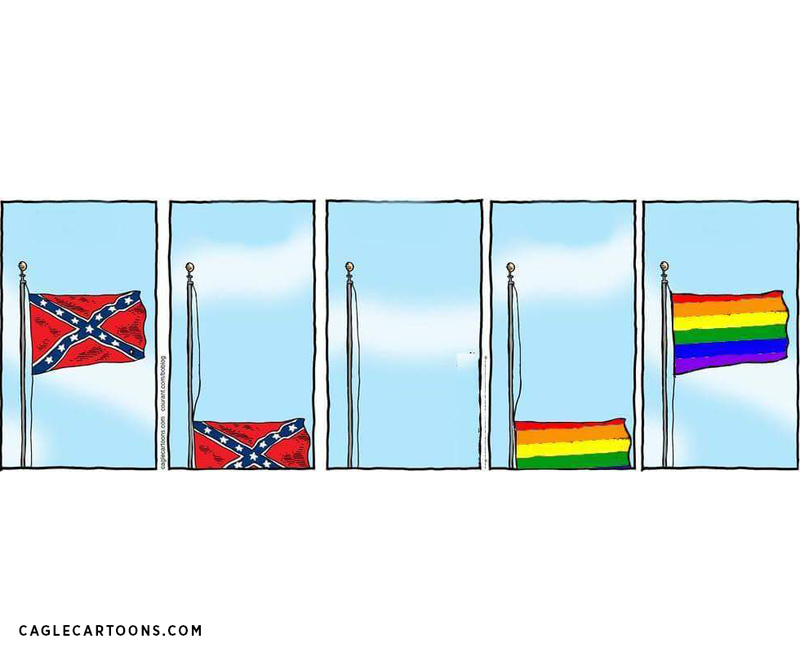 Below are some of the photos and cartoons that have made the rounds that speak volumes about flags and people’s passion for causes. 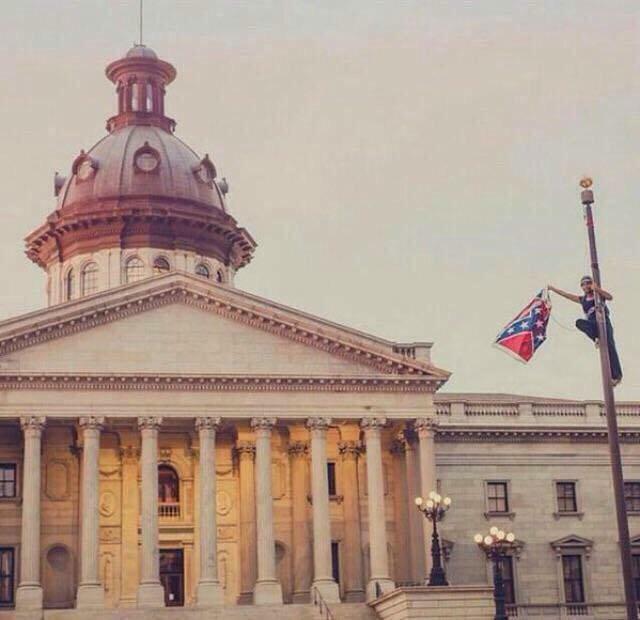 Activist Bree Newsome removing the Confederate flag outside the SC State Capitol. 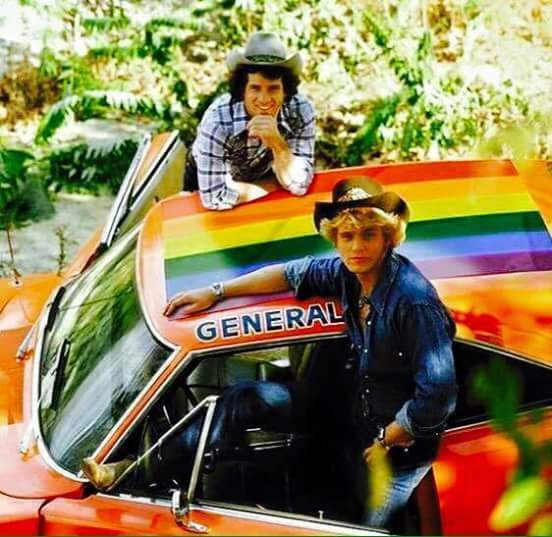 The “General Lee” gets a new flag of pride. 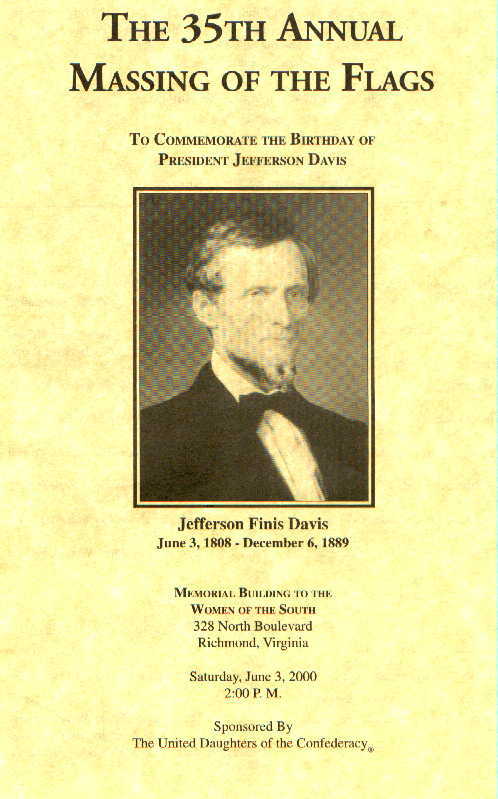 Nothing says “Christian martyr” like a crown of thorns, but did you know that Jefferson Davis had one, too? He did. Preparing my manuscript on the United Daughters of the Confederacy (UDC) often took me to the Museum of the Confederacy (MOC) in Richmond. In one final trip to search for images with which to illustrate my book, I traveled there in the spring of 2002. 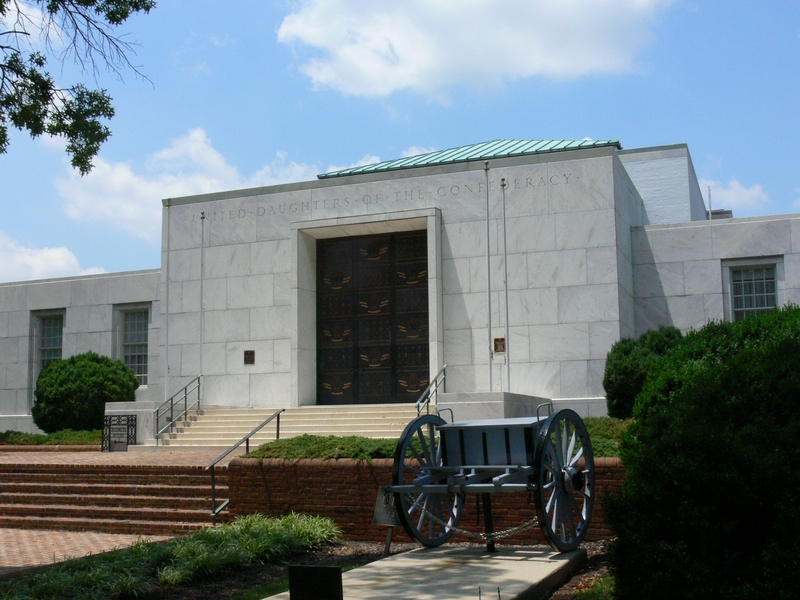 At the time, the MOC was hosting a special exhibit of items on loan from the Confederate Memorial Hall Museum in New Orleans, which opened in 1891 and is one of the oldest history museums in the South. I walked through the exhibit, observing objects from several of the South’s heroes (General P.G.T. Beauregard‘s uniform, for example) and then was stopped in my tracks by the relic of all Lost Cause relics. There before me under plexiglas was a crown of thorns. Without reading the exhibit copy, I instinctively knew it was for Jeff. And, yes, I was right. Here before me rested the ultimate symbol of his martyrdom—a crown of thorns. I could hardly believe my eyes. I saw (but would not touch) the locks of his hair, and now I found myself gazing on his crown of thorns. 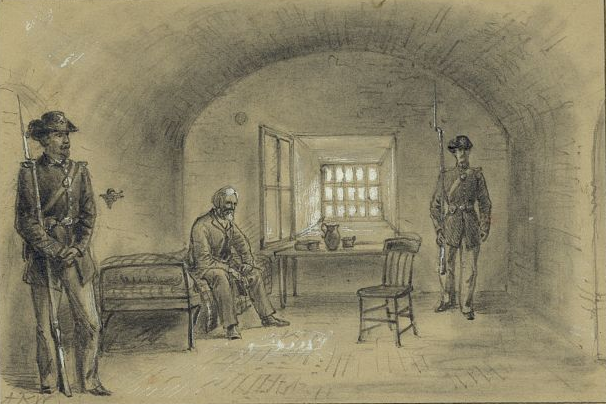 The martyrdom of Jeff Davis began to take shape during his imprisonment at Fort Monroe in Va. This object, this relic of the Lost Cause, makes quite a statement about Davis as a martyr, because not every martyr gets a crown of thorns. Did the white South believe so whole-heartedly that his sacrifices were Christ-like? I have no doubt that the early members of the UDC were on board with the “Davis as martyr” image, because it was in keeping with the stories written about women of the Confederate generation in the years following the Civil War. Those “women of the sixties” were frequently compared to Mary and Martha of the Bible, “last at the cross and first at the grave.” Perhaps the UDC saw its role in preserving the image of Jeff Davis as similar in intent. 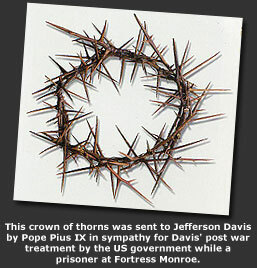 The crown of thorns, while made by Varina, served its purpose as the pièce de résistance in a much larger campaign by women to resurrect Davis’s image. 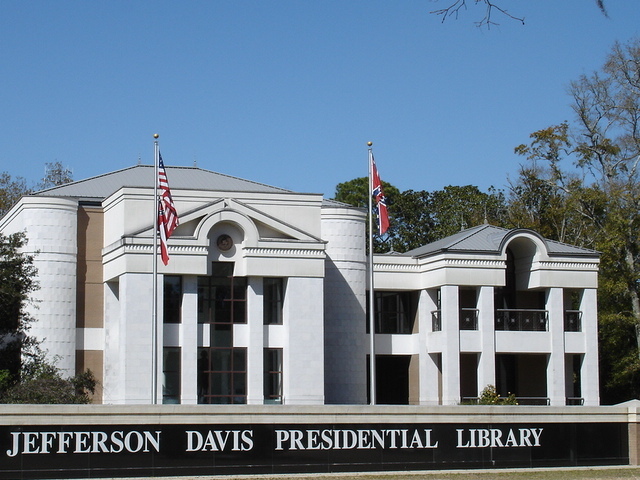 Check back for the final installment of Me and Jeff Davis: The Serial when I discuss the Jefferson Davis Presidential Library as well as the financial and political costs of the Lost Cause. 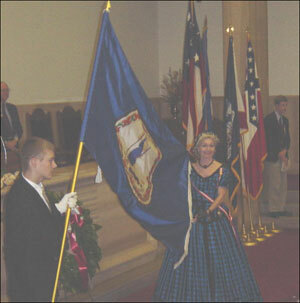 Since 1965, the year the Voting Rights Act was passed, the headquarters of the United Daughters of the Confederacy (UDC) in Richmond, Virginia, has hosted an annual ceremony known as the “Massing of the Flags.” The event, held each June, commemorates the birthday of Confederate President Jefferson Davis. It is the one time each year that the UDC opens its doors to the public, and in my many research trips to the city, I was told that it would be interesting for me to attend this event. In 2000, my curiosity led me to Richmond to find out what massing of the flags–Confederate style–meant. As I approached the headquarters I saw men in reproduction Confederate uniforms and women in dresses that cascaded over hoop skirts. It was a sign of things to come. Headquarters of the UDC in Richmond, VA. Entering the building, one walks into the large central room where the ceremony is held. Stretching along the wall directly opposite the entrance is a row of chairs, reminiscent of Masonic chairs, which at one time likely hosted the officers of the Daughters’ general organization. 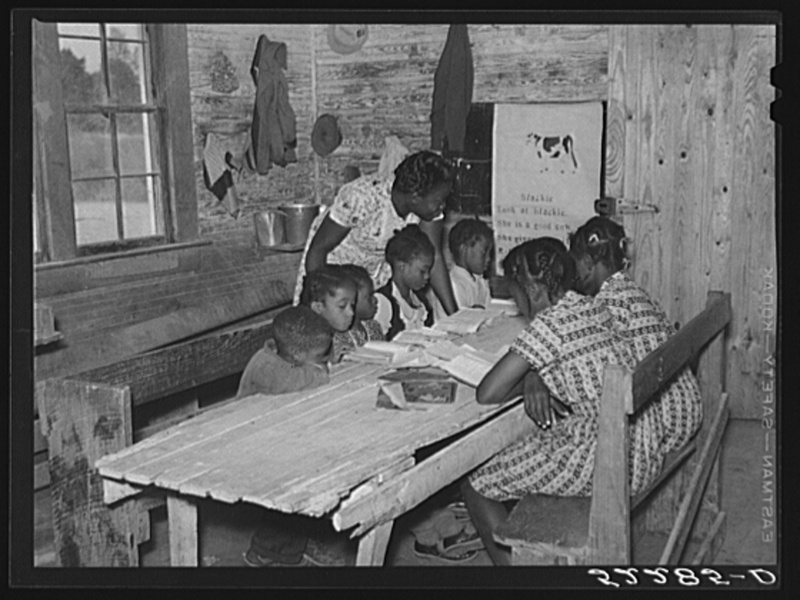 Above the chairs on the wall is the UDC motto “Think, Love, Pray, Dare, Live” represented on a five-pointed star with a cotton boll at the center. I took a seat on the right side of the aisle and waited for the day’s activities to begin. 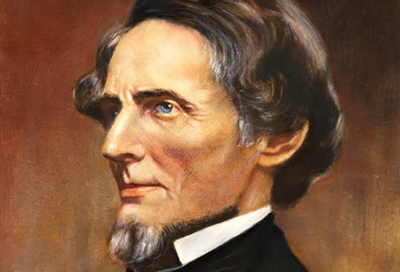 Leading the audience in prayer, the minister did what Lost Cause devotees of a century earlier had done—paid homage to Jefferson Davis by likening his sacrifices for the South to those of Christ for humanity. Another speaker led the crowd in a rousing rebel yell, followed by the singing of “Dixie.” The day’s speech, like every year’s ceremony, focused on some aspect of Davis’s life and career. Then, I learned about massing flags. 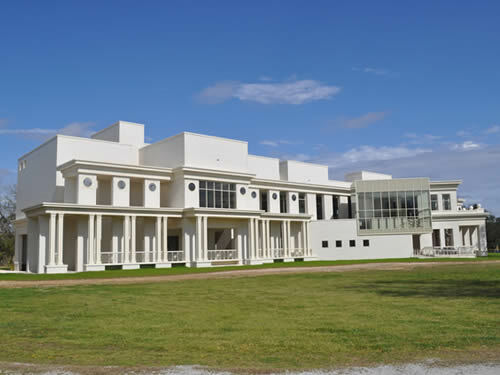 Image credit: Virginia UDC website. State by state (not all of which we know to be Confederate, like California) was represented by a man and woman dressed in period attire. The man carried the state’s flag, as commentary about the state’s sacrifices, commitment to, or sympathy with the Confederate cause was read aloud. Chests swelled with pride and the ceremony was observed by many others dressed in period attire, dabbing their eyes with handkerchiefs as the parade of flags passed by. Lest you think this was a ceremony of the aged, the Children of the Confederacy (the UDC’s official youth auxiliary) was also represented, just as in commemorations past. 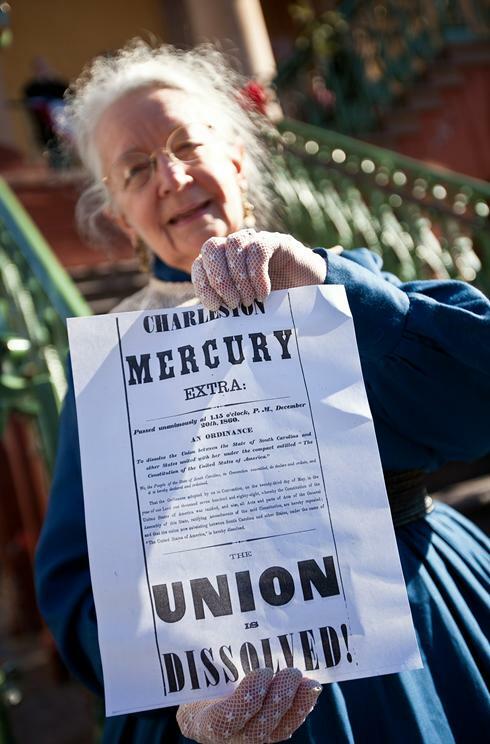 Wells made national papers again in 2011 when an image of her appeared in USA Today as one of several South Carolinians participating in a Secession Ball. This particular commemoration was marked with a speech by June Murray Wells, then president-general of the entire UDC organization. A resident of Charleston, South Carolina, Wells’ presence at that year’s massing came on the heels of the fight over the Confederate battle flag that flew atop the South Carolina State House in Columbia, which was subsequently removed. That day Jefferson Davis’s birthday was marked in true Lost Cause fashion. A man who was a white supremacist was honored through modern day racist rhetoric. The NAACP, whose members Wells referred to as “that crowd,” and its boycott of South Carolina was, for those gathered to honor Davis, about “us” versus “them,” of white versus black. And in their minds, the Confederate forces had won. 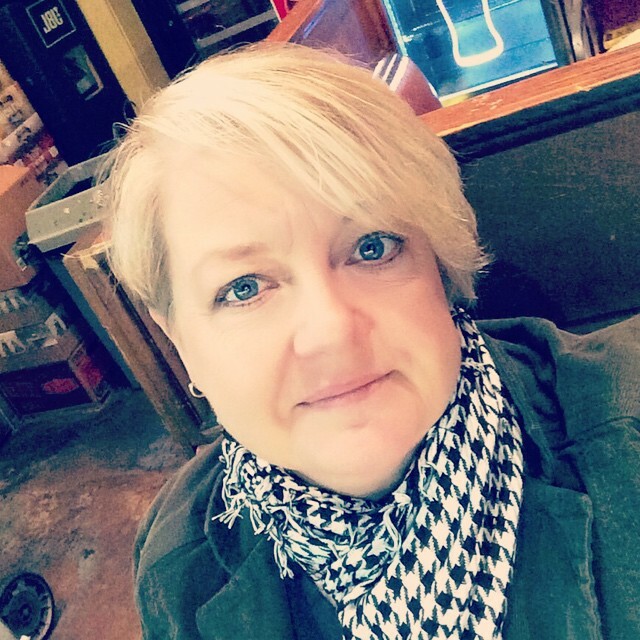 In Part VI of Me and Jeff Davis, I’ll talk about living on Jefferson Davis Highway.